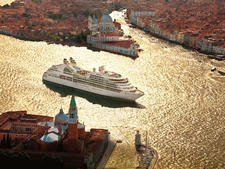 Seabourn Encore represents an evolution of Seabourn's popular Odyssey-class ships. It's bigger -- 40,340 tons as opposed to 32,000, with an extra deck -- and carries 600 passengers in 300 suites, while the smaller ships take 458. Two new restaurants, Sushi and The Grill by Thomas Keller, are the most notable additions, but there's also a VIP area on the top deck, The Retreat, and a whole new approach to the spa, where treatments and classes are integrated into a new wellness program that, if you choose, can be the theme of your whole voyage. 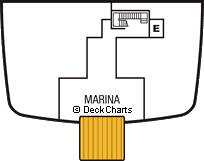 The ship is laid out such that all the accommodations are forward and all the public areas are aft. The compact size, combined with the presence of forward and aft elevators and staircases, in addition to a dazzling spiral feature staircase looping from Deck 10 down to Deck 3, means that passenger flow is excellent. Designer Adam D. Tihany has gone for a richer, more sumptuous look than that sported by Seabourn's three Odyssey-class ships. Sharp edges have been rounded to create a curvy, yacht-like feel. There's widespread use of rich dark blue and acres of gleaming mahogany (veneer, of course, this being a cruise ship). Shining stainless steel also features throughout and, despite the darker colors, there's light everywhere, through skylights, floor-to-ceiling windows and clever design. New concepts have been introduced, not least a program of mindfulness, endorsed by Arizona-based Dr. Andrew Weil, a best-selling author and the founder of integrative medicine. The entertainment has had a makeover, with new shows, and the Ventures by Seabourn concept -- launched in 2016 -- has a team of six onboard to keep passengers informed about the wildlife and ecology of wherever the ship is sailing. Fellow passengers are a mixture of North Americans, Brits, Australians and other Europeans, including a fair few German-speakers. 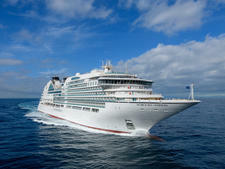 There were 24 nationalities represented when we were onboard. The age group is mixed, from late 40s to 70s, and from the conversation and the amount of bling on show in the evenings, you can tell that most people are wealthy. Seabourn passengers are extremely loyal, with 50 percent repeaters on most cruises, and they form incredibly strong bonds with the crew. If you're a first timer, it can feel like boarding a ship where the party has started without you, but special first timer meet-and-greets are held for this very reason and it doesn't take long to join in. 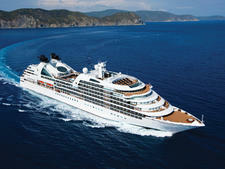 Seabourn is also gay-friendly and there were a number of gay couples on our voyage. During school breaks, expect to see quite a few families, mostly in multigenerational groups. When there are enough kids onboard to justify it, a kids' program is introduced. The dress code is a strange mishmash of elegant casual and something called "formal optional," which threw us as our pre-cruise documents didn't mention formal. A formal night -- one per seven days, two per 14 days, three for cruises of 18 days or more -- is just that: optional. Some passengers wear tuxedos and evening gowns, others wear suits. Provided that men have a decent jacket and collared shirt, they will be at home in The Restaurant on formal-optional night. Women dressed up more on this night, too, in cocktail dresses and heels. The formal idea has been kept, we're told, because many of the more traditionally minded passengers want a chance to strut their stuff by night. Elegant casual means smart -- no jeans or shorts -- but a jacket isn't necessary. Most of the women dress elegantly at night, more so than this dress code would suggest, so pack the jewels, some strappy shoes and a few dresses. The cruise fare on Seabourn Encore includes all meals (there are no supplements for any of the restaurants); a decent array of bar drinks and wines, although there is a premium drinks list available; Champagne from French Champagne house Nicolas Feuillatte; specialty coffees; a tote bag for every passenger; and shuttle buses in port when the town center isn't nearby. 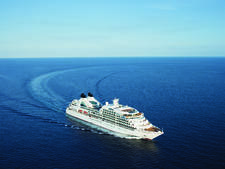 Gratuities are included on Seabourn and are not expected, although you might tip if, for example, you're in a suite and ask your butler to arrange a private cocktail party. Guides on tours seemed to expect tips, although they weren't overly pushy. Gratuities in the spa are up to the individual.